Livorno is a tall sensor faucet that fits perfectly either in a modern kitchen or in a contemporary bathroom. It is deck mounted, single hole, and it is tall enough to be used together with a bowl sink as well. The bright gold finish makes it stand out among other fixtures. Only the best quality materials have been used – the body is made of stainless steel with ceramic valve core material, for a long lasting life time. It comes complete with accessories and installation instructions. Diameter of inlet pipe : G 1/2"
Very good faucet with excellent flow. 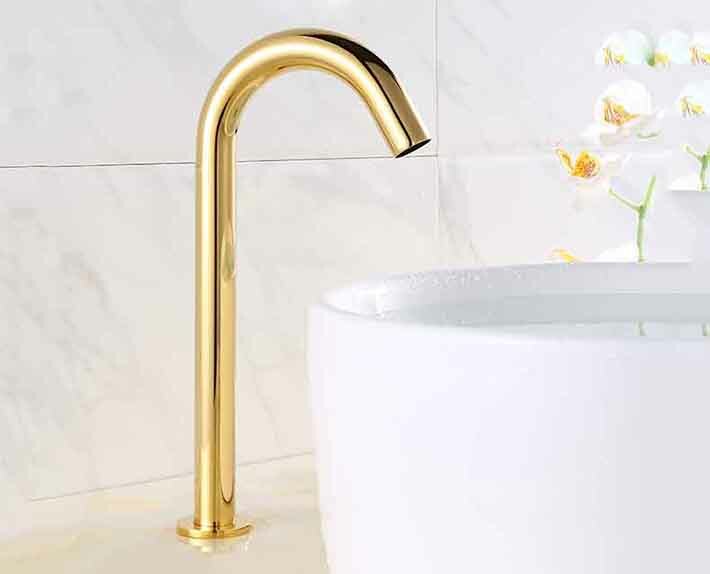 I would recommend getting this for your guest bathroom as the performance of this Livorno Rose Gold Stainless Steel Long Automatic Sensor Faucet is exceptional. I kind of liked the faucet when I first saw it in the picture. It looks clean and streamlined and was a perfect fit for a rather minimalist inspired bathroom. The rose gold finish also looks nice, though it's not the kind of rose gold color that I was expecting. As for the sensor, it works like a charm, no problem whatsoever.